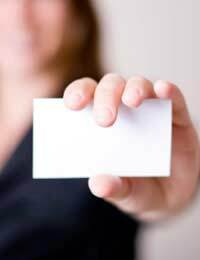 Business cards and complimentary stationary are vital if you want to make a good impression on your customers. As you are starting an art business your business cards can also be used for promotion, as can your compliment slips and letterheads. It is another one of those necessary expenses that need to be accounted for. You can't start an art business without good stationary. It doesn't need to be fancy, it can be done easily on a computer and printed out on your PC, but the fact remains that you can use it to your advantage by using a image of your product as the background or logo for your business. This may seem like a small list, and it is, but your letterheads can be used for invoices, statements, orders, letters and even posters. You business cards can be handed out to people to promote your business, placed in the bag with a purchase, handed out to suppliers, restaurants, in fact anywhere you can give one away, do it. There is no doubt that business cards and stationary look great when they are done professionally by a printer. You can feel the quality and you can also have fancy effects and fonts, but that costs money and when you're starting up, unless you have a bottomless pot of money, most don't have the cash to splash out on fancy printing. Enter, then, the humble PC. For those of you that are OK with using PCs you will know that you can get free software online to help you design business cards and your word processor will let you design letterheads relatively painlessly. You need to keep the design simple yet elegant. It needs to shout attention to detail and quality as it represents you. If you use a font that is too small or ornate then people will assume your art is sloppy too. Go for a simple, easily readable font. Include only the basic information and the image of one of your best pieces of work to showcase what you do. It's ok to use colour as long as it isn't garish. Think simple. Think elegant. Think professional. When it comes to printing, print a test piece first and make any alterations before you go off gung ho and print a whole ream just to spot a spelling mistake. Once you're happy with your design use good quality paper, make sure your ink tanks are full, and set your printer to it’s highest resolution for printing. You only need to print around a hundred of each. As you have designed it on your PC, if you save it, you can print more as required. Your stationary is representing you to other people. Make it the best it can be, it will pay you back for your time with sales. When you have enough sales you can get your stationary printed professionally for that extra special touch.